Catch their show or listen to their records and you get the distinct feeling the trio is truly on to something really special. The three bounce off each other, and are an absolute pleasure to watch. It’s a skill that saw them win the Australian, Queensland, Byron Bay and Tamworth busking championships, the peoples choice award in Brisbane and Tamworth, finalists in Australia's got Talent. Capturing that energy has been the approach The Twine has always taken into the studio. 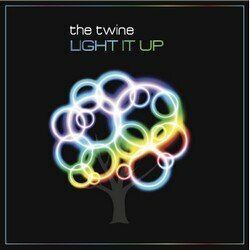 With three studio records already released, the trio has this year re-united with producer and collaborator Rob Merlini for their new full-length album Light it up. Since before Obi could walk he has been playing drums and dancing, and performs like he was born for the stage. Copyright Holder's Name damion pritchard. Melani miller.